You are currently browsing the category archive for the ‘Tony Williams’ category. Does it get cooler than this? A “band” is a slightly different thing than an “artist.” This is mainly due to the way a group of people evolve together and make music in a way that wouldn’t be possible unless those specific people had spent a lot of time together. John Mayer has a live band, but it changes so frequently that he alone ends up having the only significant continuing influence on his music. Radiohead or U2, on the other hand, have the push and pull of the same 4 or 5 guys over the course of many years, experiencing life together and making music from that shared experience. 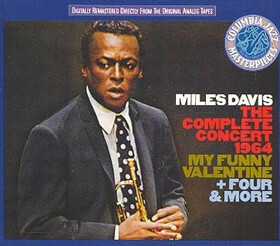 Miles Davis, one of my all time favorite artists, had many different live bands (like Mayer). But he also had the same lineup of musicians for years at a time, which formed mini “bands” (like U2 or Radiohead) within his overall career as an artist. The most notable of Miles’ bands happened during the mid-late 60’s. 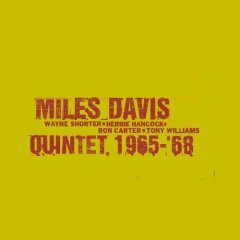 This week’s “From The Archives” post is about the Miles 60’s Quintet, my favorite band of all time. More Drummerworld video coolness. The legendary Tony Williams (one of my top 5 fav drummers of all time) would have been 67 years old today, had he not passed away in 1997. Happy Birthday, Tony. Tony’s full Zildjian Day performance from 1985 in Dallas. The word is that this video normally appears on Youtube for only a short while before it’s taken down for copyright violation or whatever. WATCH IT. It’s a six-part series of videos, and it covers quite a few topics. To be honest, I think clinics in general (even with great drummers like Tony), are always somewhat hit and miss, but this footage alone makes the clips worth watching. I just found this great article about Miles’ music in the 60’s. 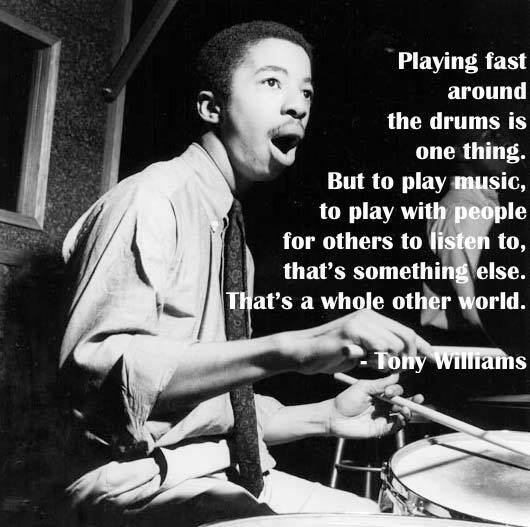 I mentioned that band and it’s influence on me a few weeks ago in a post about Tony Williams. This article goes a little deeper into the historical significance of Miles’ 60’s era, and specifically Tony’s presence in the music. It’s a good read if nothing else. 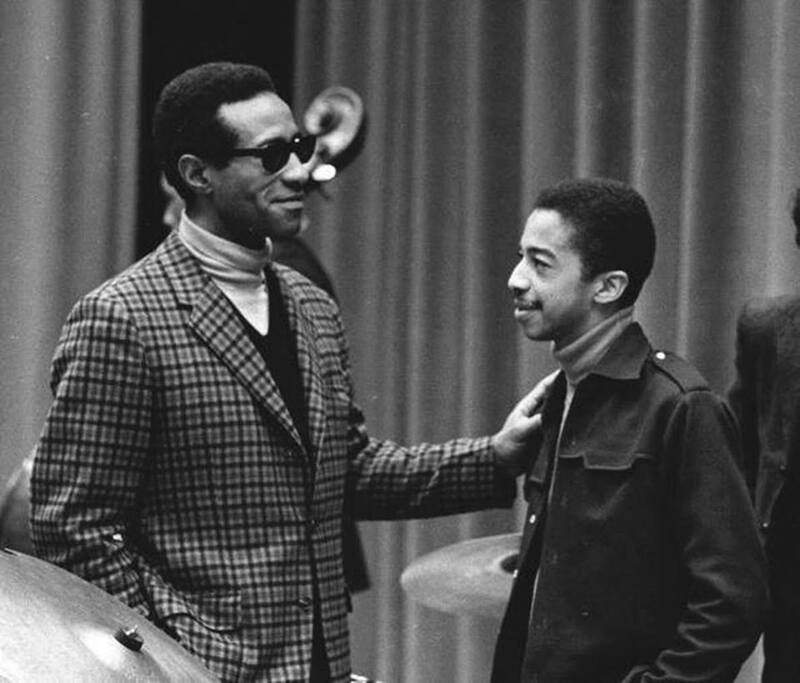 Last night I found some RAD videos of Tony Williams playing with the best band ever… the Miles Davis 60’s quintet (Miles, Tony, Herbie Hancock, Wayne Shorter, Ron Carter). Check this stuff out – you will love it. Seriously… thank goodness for Youtube. Live footage of this band is rare, and now because of Youtube we can just click and watch. Tony was seventeen when he joined Miles’ band in 1962. Yep… seventeen. Miles was an international Jazz superstar at that point, and the drum chair in his band was the most coveted gig in the entire Jazz world (which was the center of the popular music world at the time). 17-year-old Tony took the gig and proceeded to play some of the most ground-breaking and inspiring music in the history of the drumset. Watch these videos. Watch his ride cymbal. Watch his calm but powerful energy. Watch his control. And… seventeen years old.